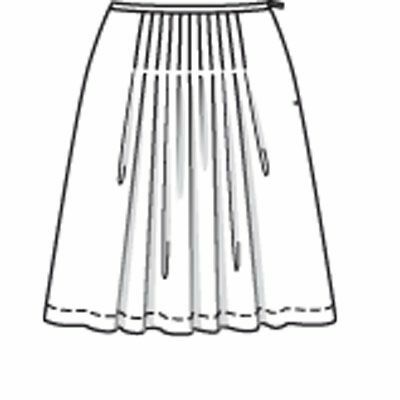 Gathers, box pleats and full skirts make me happy 🙂 They are slim through my waist and full around my lower half. It’s a little retro without being comically retro. Plus, they are awesome for border prints. I purchased this material at PR Weekend Philly. Right in the middle of my fabric fast. I rarely post fabric purchases and their prices. But, I’m happy to report that this was just $3 a yard! Oy. This is the only cut from last year’s haul that I’ve sewn. 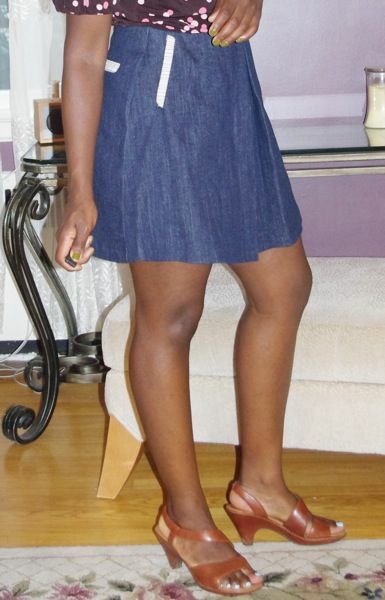 See why I was on a fabric fast in 2010? 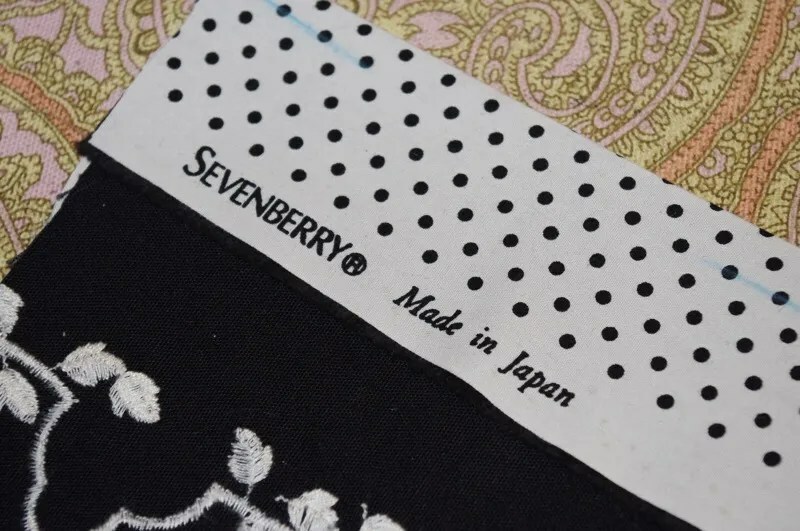 The fabric is made in Japan. 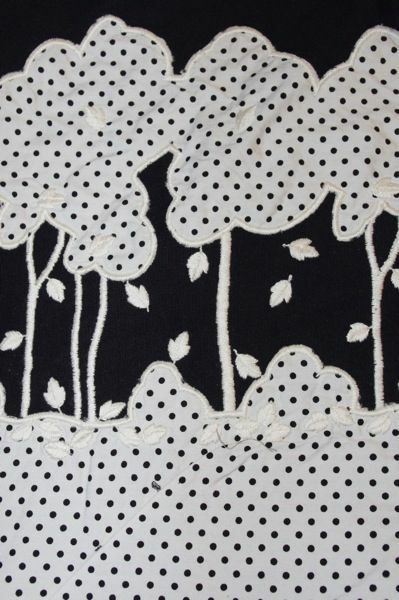 The polka dot cotton is appliqued onto the heavy black cotton so there is no need for lining. I do want to make a black vest out of the non-border portion. 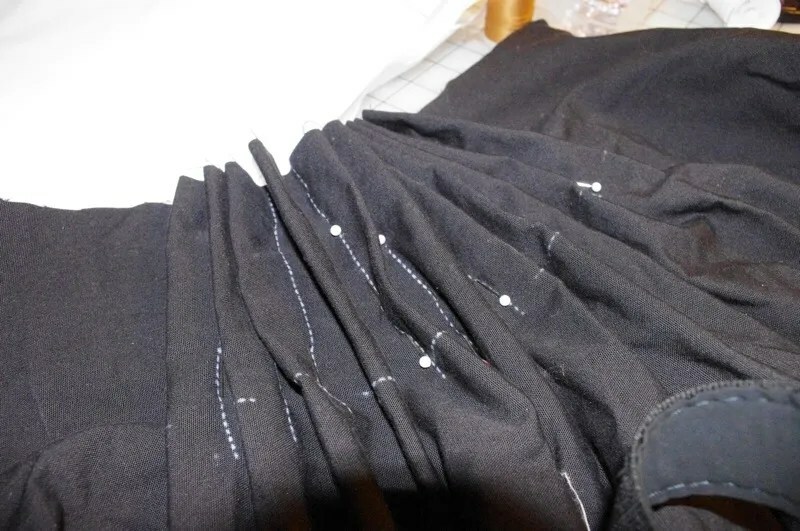 I marked the pleats in the front with marking paper, pinned them in to place and sewed them in. I made my full seat adjustment so that my skirt didn’t ride up in the back. I also made a swayback adjustment. 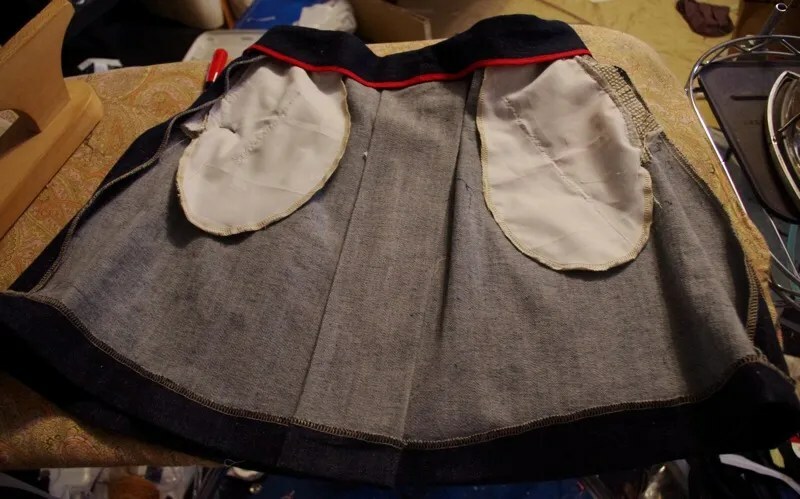 And, I have finally learned that I just have to make the waist supertight for me to like it. 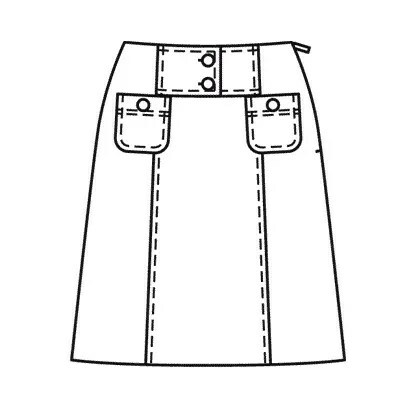 The skirt sits where it is supposed to do and doesn’t dip in the front because it’s not snug. I think I’ve generally settled on a few skirts to fill out my wardrobe for the cycling trip and my summer. 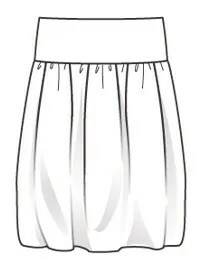 Sunday I realized I wanted to wear some ‘regular’ clothes on my trip I immediately thought of a bubble skirt. 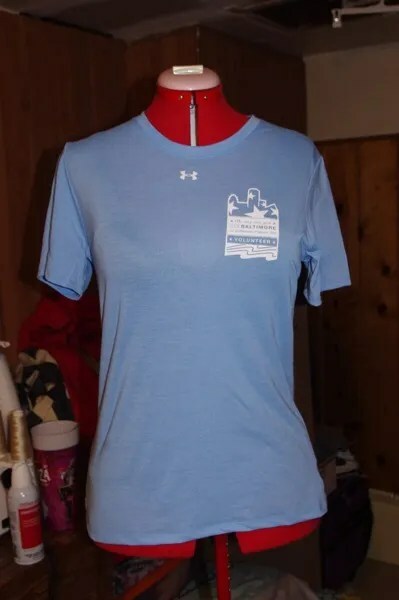 They are cute when short, full enough to hide a multitude of sins and in a knit can wash and dry easily with no wrinkling. Best of all, I made this in about an hour. The pattern I selected is Burda Magazine’s 8-2007-119. Don’t give up those Burda magazines! 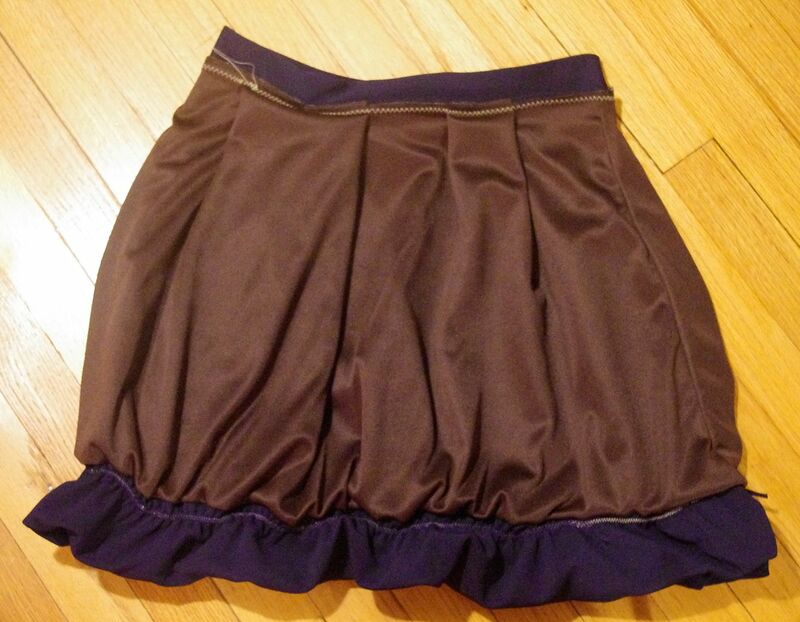 I remembe when I thought bubble skirts were juvenille. Well, maybe they still are, ha! This skirt worked up SUPER fast. 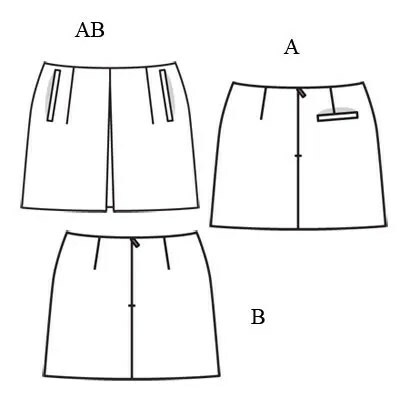 Just one pattern piece for both front and back which you cut on the fold. 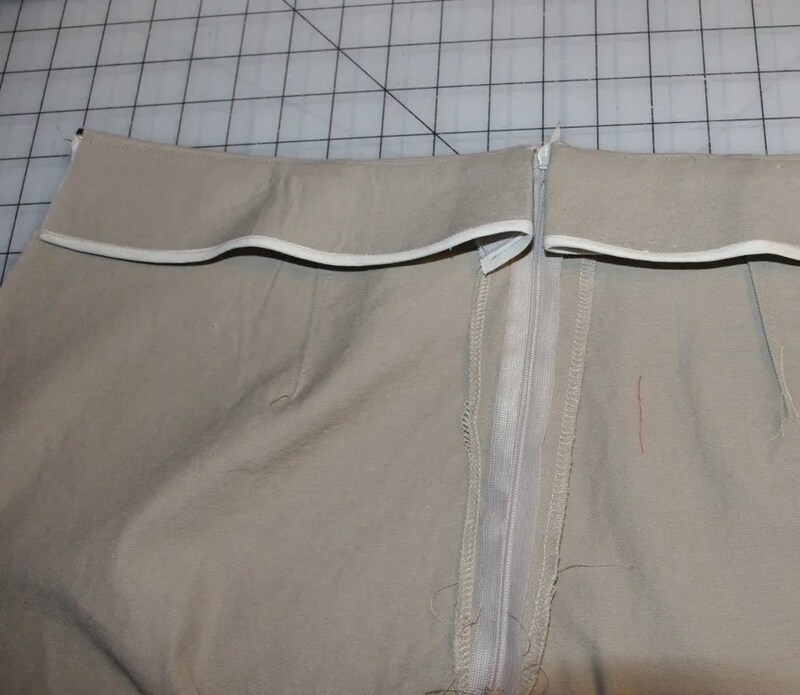 The same pattern piece includes the lining . The waistband is a simple rectangle you are given the dimensions for. I traced this out on Sunday and sewed it in little over an hour on Monday night (when I should have been packing for Tampa). The material was gifted from a friend’s mom when she cleaned out her small sewing stash. 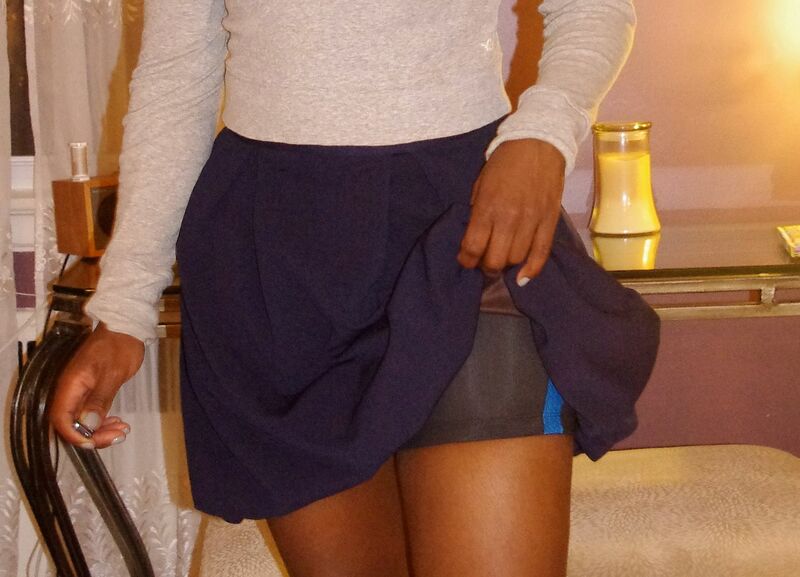 I previously made this La Mia Boutique skirt from the same poly knit. If I could *find* that skirt I would have take it on the trip with me. But, I think I’ll be making it up in another fabric when I get back in town next week from Florida. 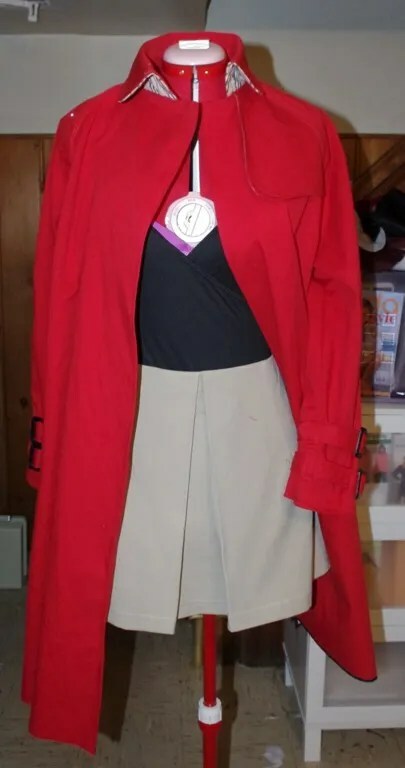 The only pattern changes I made were converting the waistline gathers to pleats and taking two inches of length out at the hip. Heh. These look a bit like bloomers, don’t they? Because I made neither my typical full seat or swayback adjustments, the skirt does ride up in the back. I haven’t had that on me in ages! The inside lining is just a brown poly knit I have boat loads of. 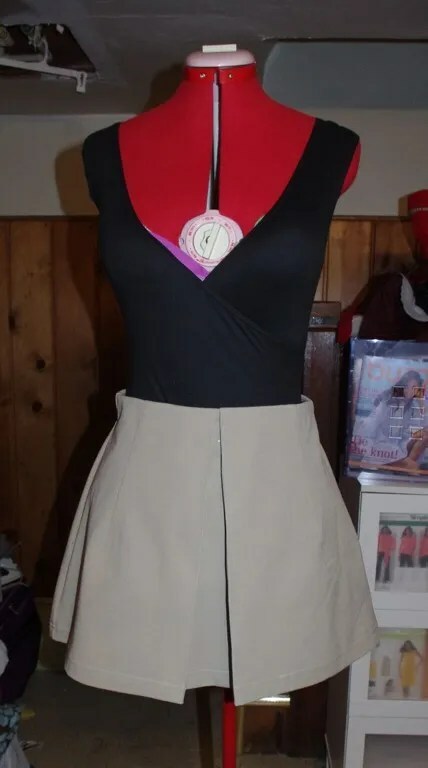 The skirt is also great for layering. Oh, I also have a new pair of Tevas for the trip. I usuall wear water sport style Tevas but figured I wanted my toes protected. My roommate is also loaning me a second pair because we’ve been warned they might not dry overnight if it’s damp. I’ve already got a second version of this skirt in black cut out!